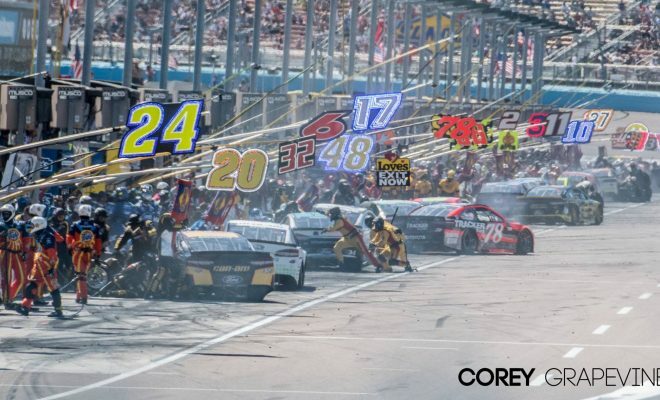 The Monster Energy NASCAR Cup Series is headed to ISM Raceway (formerly Phoenix Raceway) this weekend for the TicketGuardian 500. Our Sarah Handy breaks down her picks and who you may want to pay attention to this weekend. Kevin Harvick: Where do I start when it comes to Harvick aka The Closer? First, the driver of the No. 4 Ford Fusion for Stewart-Hass Racing has been nothing short of dominant the past two weekends. At Atlanta he led for 181 of 325 laps and then Las Vegas he led 214 of 267 laps. There was no stopping Harvick in either race, he basically ran away with the checkered flag from the beginning of each event. Secondly, ISM Raceway has been one of Harvick’s best tracks statistically throughout his MENCS career. In 30 starts in the Cup Series he has 8 wins, with his last victory at the 1-mile track coming back in March of 2016. The No. 4 Ford has been running too consistently to not have them on the top of my radar. He is my top pick to win on Sunday and if he does it’ll be his third Cup win in a row. Kyle Busch: Love him or hate him it’s only a matter of time before the driver of the No. 18 Toyota Camry for Joe Gibbs Racing finds victory lane in 2018. Busch has two top-10 finishes in the last two races with a second-place finish coming at his home track of Las Vegas Motor Speedway coming last Sunday. While the 2015 MENCS Champion hasn’t won at the 1-mile track since his early Hendrick Motorsports days back in 2005, I feel he could really battle Harvick for the victory this weekend. Busch has an average start of 11.4 and an average finish of 12.4 at the track with finishes of seventh and third in the events held at the track last year. With five top-10’s in his last five starts at the track he’s one to watch this weekend for sure. Kyle Larson: The west coast swing started off great for Larson last weekend in Las Vegas. The driver of No. 42 Chevrolet Camaro ZL1 for Chip Ganassi Racing finished the Pennzoil 400 in the 3rd position. Larson will look to carry his momentum from last Sunday’s finish into this weekend’s race at ISM Raceway where he finished second just a year ago. Larson’s 2017 west coast swing finishes were impressive with finishes of second, second and first. If those finishes are any indication of this years he will be just fine and could very well find victory lane in either of the next two events on the schedule. However, past statistics have me selecting Larson as a sleeper pick. Larson has struggled in his career at Phoenix. In 8 races at the track he only has three top-10 finishes and has only led 15 laps. While he could surprise everyone and win I feel like Auto Club Speedway next Sunday will be a better track to pick Larson as a potential winner. Ryan Newman: The driver of the No. 31 Chevrolet for Richard Childress Racing solidified his spot in the 2017 playoffs with a win in this very race last Spring. However, I don’t see Newman repeating. While he’s someone who tends to fall below the radar even when running consistently most weeks I just don’t see him pulling off back-to-back victories at the 1-mile track. Statistically he has two wins at the track but with an average finish of 17.9 I look for him to run more top-15 most of the day. Newman won on old tires last Spring when the other front runners including Kyle Busch decided to come down pit road. Newman was able to hold off second-place finisher Kyle Larson for his first Cup victory since the 2013 Brickyard 400. The following drivers aren’t my top picks or drivers I’d consider sleeper picks this weekend. 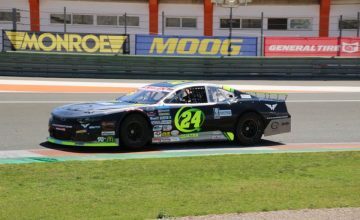 They’ve each run well at ISM Raceway and could very well surprise the field this weekend, therefore their worth noting and keeping an eye on. Jimmie Johnson: 4 wins, 15 top-five’s, 20 top-ten’s, 990 laps led with only DNF’s in 29 starts at the 1-mile track. His last win at the track came in November of 2009. Chase Elliott: In only four MENCS starts at ISM Raceway, Elliott has three top-10 finishes, 1 top-five, and has led 140 laps. 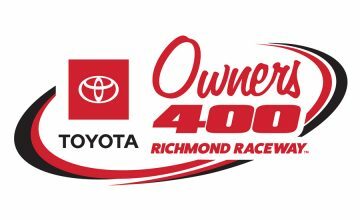 Erik Jones: In his three previous starts at the track Jones has finishes of fourth, eighth and nineteenth. With an average finish of 10.33. Martin Truex Jr: While he hasn’t won at the track in 24 starts he does have 8 top-ten finishes to go along with 2 top-five’s, and 101 laps led. Who do you think has the best shot of capturing the victory this Sunday? Let us know in the comments below and tune into the TicketGuardian 500 from ISM Raceway which is set for 3:30 EST on Fox.